Position traders, often known as “buy and hold” traders, take longer-term positions usually based on long-term charts and/or macroeconomic factors. These traders operate in nearly every market, including stocks, ETFs, forex and futures. They aren’t only relegated to buying either; they can also hold long-term short positions making money as an asset declines in value. For beginners, be sure to read the Top 21 Trading Rules: A Visual Guide. Position trading is taking a position in an asset, expecting to participate in a major trend. Position traders aren’t concerned with minor price fluctuations or pullbacks. Instead they want to capture the bulk of the trend, which can last for months or years. The main appeal of this approach is that it doesn’t require much time. Once the initial research is done, and the position trader has decided how they want to trade the asset they’ve selected, they enter a trade and there’s little left to do. The position is monitored on occasion, but since minor price fluctuations aren’t a concern, the position requires little maintenance or oversight. Position trading is the opposite of day trading, where traders make trades each day and spend hours trading. Swing trading is less time-intensive than day trading since trades last a couple days to several weeks; this still requires time to monitor and find new positions each week. Position traders make between zero and three trades a year in assets they own. Swing traders will likely make 25 to a few hundred trades a year, and day traders make hundreds to thousands of trades a year. See also 7 Psychological Traps Every Trader Must Face. There are several approaches to position trading, including buying assets that have strong trending potential but haven’t started trending yet, or alternatively buying an asset that has already begun to trend. Buying assets that have already begun to trend is a less research-intensive endeavor and therefore preferred by many position traders. Finding a trend is thus the main component for a position trade. This will usually exclude any assets trading within a range, unless the price range is extremely large and spans many years. In this case, it could take years for the price to move from one side of the range to the other, which suits the position trader just fine. See also: Range Trading 101. Trends often begin with a breakout of a range or other chart pattern that had confined the price action (non-trending). The price is like a spring being compressed by the pattern, so when the price breaks out of the pattern it can often trend for some time. This is especially true if the chart pattern lasted for a number of years, indicating the price could trend for a number of years once it breaks out. Chart patterns ranges, triangles, cup and handles, head and shoulders and inverse head and shoulders—all indicate a trend could commence or re-emerge. Indicators are also useful for spotting trends that are underway. One way is to monitor stocks that pass above their 40-week (200-day) moving average from below (if looking to buy). While this method isn’t perfect, looking for this signal will produce a list of stocks (or other assets) that recently began moving higher. The trader can then initiate more research into which one (or more) of the stocks he or she wants to purchase based on the overall outlook. Be sure to see our list of the Best Investments of All Time. 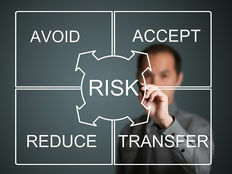 Even though a position trade may be held for a long period of time, it requires three elements to be successful: a planned entry, a planned exit, and controlled risk. The basic strategy is to buy when the price crosses above a 40-week (or 200-day) moving average from below. Hold the position until a weekly price bar closes below the 40-week moving average. When the trade is initially placed, a stop loss is used to cap the amount that is lost should it immediately move in an unfavorable direction. Where this is placed depends on the volatility of the asset and the time frame of the trader. Setting a stop loss 5% below the moving average will serve to protect capital but still allow for upside potential. In Figure 1, AAPL is moving in a choppy fashion on the left of the chart, highlighting the main problem with this strategy. A trade signal may occur but a trend doesn’t develop; a number of buy and sell signals occur in quick succession, resulting in losses. In 2009, another buy signal occurs when the price crosses above the 40-week moving average. The signal is given at $16.61, so an initial stop loss is placed 5% below, at $15.78. The trade isn’t closed until there is a weekly close (weekly chart) below the 40-week moving average. The exit occurs in 2011 between $46.57 (weekly close) and $46.76 (opening price the following week). Another long trade develops shortly after the prior exit and that trade lasted until late 2012. Another buy signal occurs in 2013 and that trade remains open until a weekly close below the moving average. 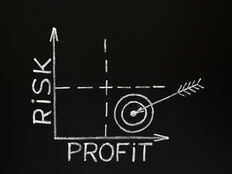 The main risk of position trading is that minor fluctuations, which are commonly ignored, can turn into a full trend reversal and result in a significant loss or drawdown if the trader fails to monitor the position or puts safeguards in place to protect their capital (such as a stop loss or trailing stop). While this is a danger it also works in the trader’s favor, as the position will also accumulate profit while they’re not looking. Unlike day trading or swing trading where positions are converted back into cash on a regular basis, position traders are locking up their capital for extended periods of time. Make sure the capital won’t be needed for at least a year or more, as being forced to liquidate the position interferes with the original strategy. The effects of compounding are also negligible with position trading, since profits aren’t locked in very often and the account balance doesn’t actually increase until the position is closed at a profit. One style of trading isn’t better than another; certain styles just suit different people’s personalities and circumstances. Position trading is for people who like to do some research initially, but once a trade is placed, the position requires very little time to monitor or manage. Position trades take place in nearly all markets and can include both buying or taking short positions. 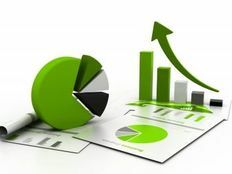 Trades are found based on research that indicates a stock could begin to trend, or chart pattern breakouts and technical indicators signaling the potential start of a trend or that a trend is underway.